The history of beer dates back to the world’s first civilization, Summer, in Mesopotamia (4000 BC). A 5,000 year old brewery was discovered in China, including a recipe of broomcorn millet, barley, Job’s tears, and tubers. Recently, a 6,000-year-old Italian wine was discovered in a Sicilian cave, tying Armenia for the earliest evidence of winemaking. A 9,000-year-old tomb in China unearthed a recipe with hawthorn fruit, sake rice, barley, and honey, the oldest known fermented beverage in history. This makes beer older than wine! However, there is some debate among experts that winemaking could have started 10,000 years ago in the beginning of the Neolithic age. Unlike today’s beer, beer in ancient times was not bitter, rather flat, and most likely a combination of sweet and sour. However, sour beers are now making a come back. The Neolithic era represents the agricultural age that started 10,000-12,000 years ago and came with many faults. But I think many of us can agree that the best invention that came out of the Neolithic era, was wine and beer. I’m not talking about the mainstream beer companies that have created an embarrassing imposter full of chemicals, additives and depleted vitamins and minerals. I’m talking about the real beers that served as a source of nutrition, rich in b-vitamins, minerals, probiotics and medicinal compounds from numerous herbs. Thankfully today, there is a craft beer scene that is as wild as the yeast in the air with creative brewers everywhere recreating what beer should be. During my research and exploration of brewing methods for beer along with wine production, I discovered a startling revelation. The majority of beers and wines are no different than any other sector of a processed food, with a high chemical load and nutrient deficient profile. In the past, the question “is beer good for you?” would have gathered a hearty laugh. For many cultures, drinking beer provided a major source of clean hydration, vitamins, and minerals. Today, people just assume beer has negative health effects and therefore is just categorized as a guilty pleasure. In fact, beer is good for you in moderation of 1-2 beers a day, but you have to choose wisely. When you start to look at the content of many mainstream beers, you will find MSG, high fructose corn syrup, propyl glycol, food dyes, BPA, unnatural preservatives (due to pasteurization), and chemical residues like glyphosate found in 14 German beers and California wine (higher in non-organic). A study from the American Chemical Society in August 2016 found that 97% of imported and US beers tested had glyphosate levels of 0.46 – 196 ppb. A good beer isn’t full of chemicals. In California, conventionally-grown wine grapes received more pesticides than almonds, table grapes, tomatoes or strawberries. Residual concentrations of many different pesticides have been detected in bottled wine were similar to initial concentrations on the grapes. Since hops are notoriously prone to pest and disease issues, I imagine a similar issue with many beers along with sprayed grains. I knew from research that alcohol depletes b-vitamins, vitamin C, magnesium, zinc and disrupts gut flora. But it started to become clear that this depletion is negated based on where it is grown, how it is produced, how much is consumed, and the diet of the individual. The good beer of our ancestors – or places where traditional fermentation is still intact – did not contain the chemical load that many US wines and beers do (and other places in the world), and the mineral levels in the water and soil have always been higher in the past. The beer was unfiltered and unpasteurized, leaving the yeast in that contains the nutrients that alcohol depletes, was a source of probiotics and often had medicinal herbs that increased the medicinal value. 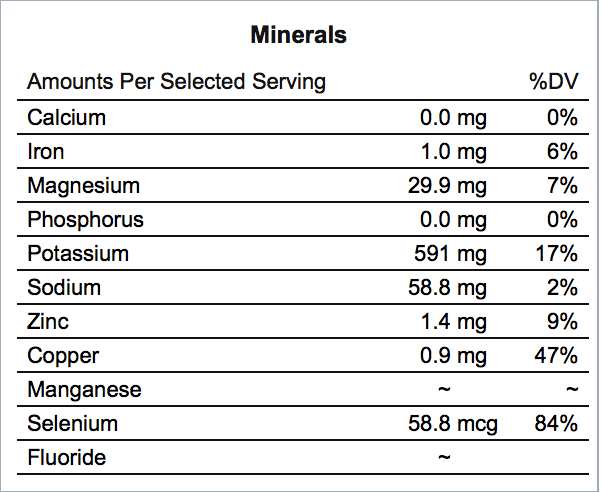 If you look at the breakdown of brewer’s yeast from Nutrition Data in 1 oz., it is quite impressive for b-vitamins, immune-boosting selenium and the electrolytes magnesium and potassium. *Chromium isn’t listed, but is also found in yeast and is important for stabilizing blood sugar. This beer shows 62.5% of folate and 170% of B12! 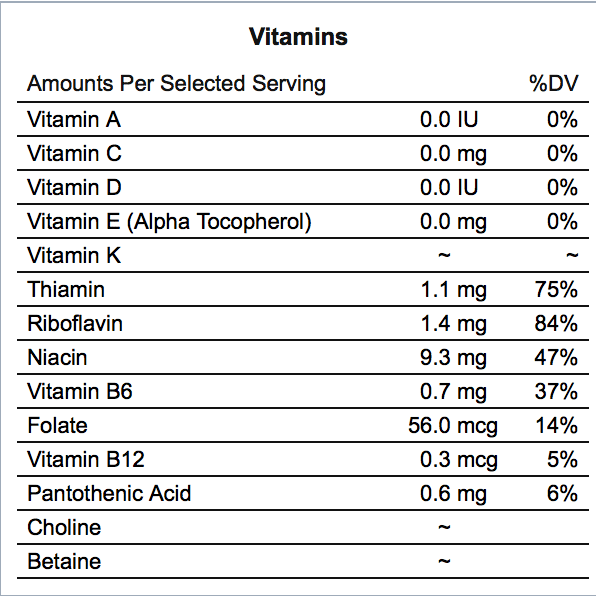 If you filter the yeast out and pasteurize the beer, you lose most, if not all of the b-vitamins and probiotics. 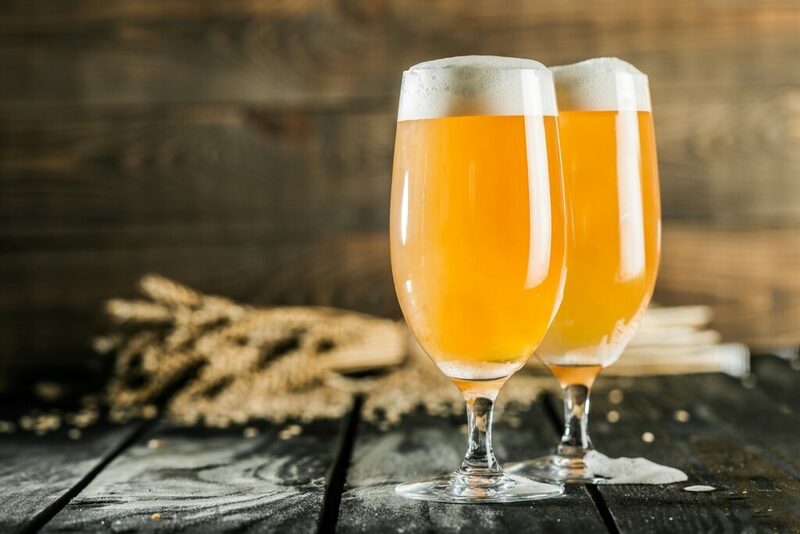 While you will keep the benefits of compounds in barley and hops with filtered and pasteurizing, you are losing out on a major source of nutrition due to the loss of the vitamins, minerals, and probiotics. The benefits of beer not only come from the grains and yeast but also the herbal change to hops. Hops contain a flavonoid called xanthohumol that strongly suppresses CYP1A2 (suppressing is good), a liver enzyme that metabolizes various environmental procarcinogens such as heterocyclic amines (created during high heat cooking of meat or fish), nitrosamines (pesticides, cosmetics), and aflatoxin B1 (mold) that can lead to cancer when overexpressed. When you have heterozygous or homozygous variants in this liver enzyme as discovered through Nutrition Genome, you have to take more dietary strategies to prevent the activation of procarcinogens. Hops appear to be one of those strategies, while they also improve fat metabolism. Hops are also a potent phytoestrogen due to 8-prenylnaringenin; something that doesn’t make me get on the heavy hops bandwagon of brewing for guys. I prefer a smaller dose of hops and a higher use of other herbs myself. But for post-menopausal women, the hops may increase bone density and the prevention of hot flashes. One study highlighted in The Science of Healthy Drinking found the following: Two months after the hospital staff began offering one beer a day to the geriatric patients, the number of them who could walk on their own increased from 21 percent to 74 percent. Social interaction tripled, and the percentage of patients taking Thorazine, a strong tranquilizer, plunged from 75 percent to zero. If you want your mind blown by 400 pages of studies showing the positive benefits of moderate alcohol intake, including drinking beer every day, pick up The Science of Healthy Drinking. Radiation is another risk factor for cancer, as it may damage cellular DNA. In one study, human volunteers were asked to drink two beers a day, and then X-rays were irradiated to blood samples collected three hours after beer consumption. The results showed that the frequency of chromosomal aberrations in lymphocytes after beer consumption was significantly lower than that before beer consumption. This effect was not attributable to alcohol, but to the compounds in beer. Another study found that when volunteers consumed either beer, red wine, or spirits for one week, it was only the beer drinkers that did not have a rise in homocysteine due to the B6 and folate content. You can have too much of a good thing. If you or your family members are prone to gout, beer appears to raise uric acid levels higher than liquor and wine, with wine being the best option for not pushing uric acid levels too high. It is important to note however that the reason gout has been known as the rich man’s disease is that it occurred from a combination of over-consumption of sugar, red meat, and alcohol during a time when only the wealthy could afford it. Uric acid actually acts as an anti-oxidant comparable to vitamin C, and moderate elevations are beneficial. It all comes back to balance. Since beer companies are not allowed to make any health claims, you have to dig for the beer health benefits in the research. Alcohol itself works in medicinal doses. Both too little and too much appear to be an issue. One study on alcohol from Harvard was published recently in the European Society of Cardiology and is perhaps one of the longest of its kind. It followed 14,629 men and women aged 45-64 and followed them for up to 25 years. They found that for those who drank one 5 oz glass of wine or 12 oz. beer per day, the men had a 20 percent less incidence of heart disease and 16 percent for women. What’s interesting is that heart failure rates were higher for those who drank less OR more. For those having more than 21 drinks, a higher risk of dying from any cause went up 47 percent for men and 89 percent for women. In a new study from UCSD, “researchers found that among men and women 85 and older, individuals who consumed “moderate to heavy” amounts of alcohol (1-4 drinks based on gender and weight) five to seven days a week were twice as likely to be cognitively healthy than non-drinkers.” This study looked at 1,344 older adults (728 women; 616 men) in an upper class, Caucasian population. I think it is important to note here that this San Diego demographic is also highly active. Let’s also take a look at the PON1 gene, which codes for enzymes that break down pesticides and helps prevent LDL from oxidizing, a major mechanism in atherosclerosis. One study found that alcohol in small amounts (4-5 oz. of wine or 12 oz. of beer for example), improved PON1 activity by 395%. However too much decreased it by 45%. PON1 is responsible for elevating HDL in response to alcohol. Another study reported that three weeks of beer consumption significantly reduced the level of plasma c-reactive protein (CRP), but was attributed to the alcohol. Many other studies have confirmed this fact over and over again. Alcohol can be very good for us, but it must be treated like everything else in our food supply. The source, production, and amount is the key. Even more reason for responsible drinking. I came across a beer in Whole Foods by Propolis Brewing Company from Washington state a few months ago when I started asking the question “is beer good for you?”. I was so impressed by their beer, that I looked them up and found a description on their website that resonated with other literature I had read about beers of the past. For thousands of years beer served as food and medicine; it had antiseptic, anti-bacterial and anti-viral properties. Old world ales were referred to as “gruits” and were created from various malted grains and bittering herbs. Proprietary herbal blends were passed down from generation to generation as was the knowledge of how each herb served to promote health throughout the year. We carefully selected local herbs and botanicals that bitter and flavor our ales. Our herbal blends are developed to harmonize with the spectrum of malt that shifts from light to dark with the sun and the harvest. Before the Beer Purity Law 500 years ago this year, other herbs were used in beer instead of hops. According to the book Sacred and Herbal Healing Beers, before the use of hops in beer, gruit ale was the beer staple made primarily with sweet gale, bog myrtle and yarrow. These herbs were mildly narcotic and some were considered aphrodisiacs. Due to these qualities, it was under extreme interrogation by the Protestant church. Unhappy with partying habits of the Catholics, the Protestants played a role in the banning of certain herbs and replacing them with hops, a known sedative. I scoured the internet and contacted breweries to compile a beginning list to seek out these special craft beers. Whole Foods and specialty wine and beer shops will most likely carry some of these. If you have one of these breweries in town, that is also the best place to go. Some of these may indeed contain organic ingredients but are not certified. It is very costly to be certified and I understand companies choosing not to. But some companies will use organic ingredients without being certified, and I’m trying to find these. Many beers in Europe are organic, unfiltered and unpasteurized by default. I was told that the east coast of the US have more breweries that are creating unfiltered, unpasteurized beers, while more west coast breweries filter many of their beers. “Bottle conditioned” is another word used for unpasteurized to look for on labels. Yeast is added at the bottling stage for carbonation. North Coast Brewing: Blue Star and Pranqster. Prankqster is a very delicious, good beer. Great customer service. Sierra Nevada: Porter, Stout, and Kellerweis (most yeast). Pale Ales are bottle conditioned. All others are filtered, but unpasteurized. All beers use non-GMO ingredients. I can vouch that the porter is excellent. Great customer service too. Bell’s Brewery: According to Bell’s Brewery: “Most of our ales are unfiltered, it’s been one of our main philosophies since Larry Bell first started brewing more than 30 years ago. Our lagers, on the other hand, are filtered, but unpasteurized.” Amber Ale, Kalamazoo Stout, Porter, Oatsmobile, Two Hearted (non-GMO verified), Oarsman, Oberon (non-GMO verified), Winter White, Best Brown, Expedition Stout, Special Double Cream Stout, Hopslam, Arabicadabra, Christmas Ale and The Oracle. Weihenstephan: Vitus, Korbinian, Hefeweissbier Dunkel, White Hoplosion are the best beers. Allagash: All beers are unpasteurized and bottle conditioned. Sixteen Counties uses organic oats. Red Oak Brewery: A brewery in North Carolina that makes some awesome unfiltered and unpasteurized beers. Great Divide: Orabelle Belgian Tripel, Nadia Kali Hibiscus Saison, Colette Farmhouse Ale, Samurai Rice Ale (being released later this year). Ingredients are not organic. Chimay: This one is actually pretty easy to find at Trader Joes, Whole Foods and at restaurants. Chimay is a very good beer. St. Bernadus: If you like Belgian beers, this is a delicious choice. Westmalle: Westmalle is also a Trappist beer made by the monks. Rochefort: Trappist Rochefort is an easy beer to find from Belgium. Green’s: One of the few gluten-free beers on the market. Lindemans: If you like sour beers, Lindemans make some wicked Belgian lambics. Check out Cuvée René Gueuze and Lindemans Cuveé René Kriek. Du Bocq beers: This is another beer from the famous Belgian region. Budvar’s: They have an unpasteurized yeast beer. Beau’s: A great find for Canada! Organic malt, hops and local spring water. However, they pasteurize their beers but have unfiltered versions. *Only certain beers for some of these companies may be certified organic, or use mostly organic ingredients. Propolis Brewing: This brewery is in Port Townsend, Washington, and I would consider this beer to be at the top of the healthy beer list. They have access to natural spring water, which I think is a secret ingredient for the best beers. I ordered a case of their yarrow beers for my wedding to show you how highly I think of them. They also have a monthly ale club. Logsdown Farmhouse Brewery: I bought these as gifts for my groomsman. They are definitely on the healthy beer list. The Ale Apothecary: This brewery is in Bend, Oregon, and I have only heard about their legendary beer. They would also be categorized as a healthy beer due to their water source, clean ingredients and ancient fermenting practices. Gjulia: Gjulia is made in Italy and is a little harder to find. I have only seen these at one Italian restaurant where I live. Ayinger Brewery: Ayinger is from Germany and they are excellent beers. I’ve seen Ayinger at Bevmo, Whole Foods and numerous grocery stores. Bison (unpasteurized, but filtered). 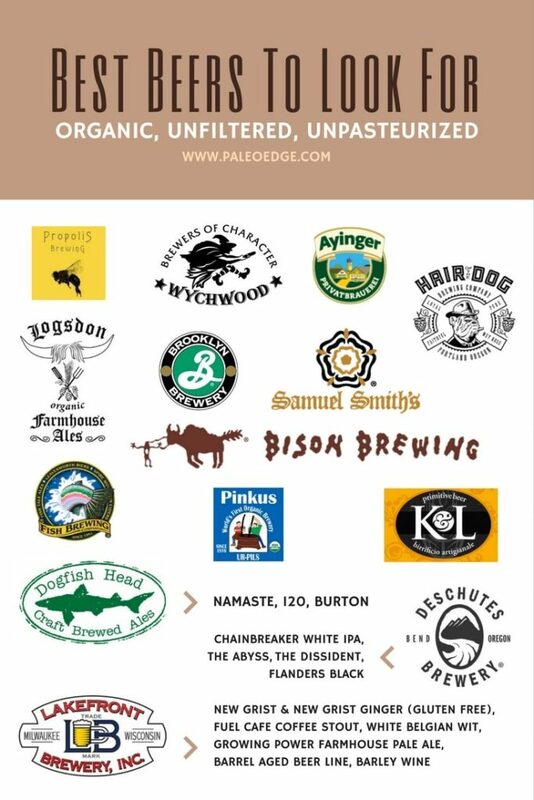 Bison is one of the few breweries that sing their organic certification loud and proud. Numerous health benefits from the herbs and spices added to their beers. Deschutes Brewery: Deschutes is also in Bend, Oregon, and if I was picking beer stocks, I would invest in Deschutes to become the top craft beer distributor along with Sierra Nevada. Black Butte Porter, Chainbreaker White IPA, The Abyss, The Dissident, Flanders Black, bottle condition all the beers in the Mainline, Seasonal, and Bond St. lines, Reserve Series beers have live yeast. Non-GMO ingredients and some are organic. Deschutes County doesn’t fluoridate their water, another win. Great customer service. Fish Brewery Company: I haven’t tried these beers yet but would love to hear from anyone who has. Lakefront Brewery: (different degrees of filtering): New Grist and New Grist Ginger are gluten free. Fuel Cafe Coffee Stout, White Belgian Wit, and Growing Power Farmhouse Pale Ale are year round organics. Barrel Aged Beer Line Barley Wine is limited. Hair of the Dog Brewing Company: Hair of the dog has an excellent reputation in communities lucky enough to be able to buy them. Brooklyn: I haven’t tried these beers yet. Pinkus: Organic, healthy beers. The taste wasn’t anything to write home about. Samuel Smiths: Samuel Smiths Organic Ale is their healthiest option. Wychwood: Scarecrow Ale is their organic beer. K&L Craft Beers: I might fly to Italy just to try these beers. La Birra di Meni: Now I have two reasons to fly to Italy. Please feel free to help me add to this list from your hometown in the comment section. Cheers! Please add gluten-free and gluten reduced in above 2 categories. Thanks for doing this research!!!! You are very welcome! I pull this article up now when I’m shopping and it is pretty handy to have the list. So far Green’s is the only one that I have found to be unfiltered, unpasteurized and gluten free. I have it listed under the “Good” section and gluten free in parenthesis. I’ll keep looking for gluten-free and gluten-reduced that are also unfiltered and unpasteurized. 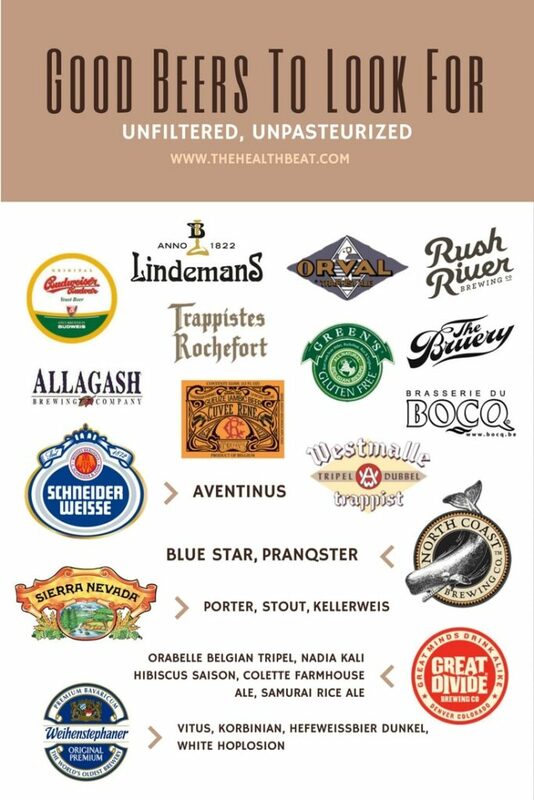 Why aren’t Belgian beers included here? Such as, Chimay and St. Bernardus? Belgians are some of my favorites. Chimay is on the list. I have had St. Bernadus but forgot about that one. I will add it. This is really interesting! Thank you for posting. I was doing research for nutrition ideas for my elderly mother who doesn’t go to doctors. I’m going to try this with her. The study that said it helped mobility is very exciting. I think I’ll take up beer drinking just for the heath benefits. Thanks again. Glad you enjoyed it! I found the research studies pretty interesting myself. I wonder if the gluten-free beers are as nutritious as those made with barley…if anyone knows, please comment. Many of the gluten-free beers actually remove the gluten from the barley. Greens does this as well, but also have three (Discovery, India Pale Ale, Gold Dry Hopped Lager) that use sorghum, millet, buckwheat and brown rice. The nutritional difference will mainly come from the nutritional composition of the grains, and the filtering process. Beers like those from Propolis Brewing that also use herbs along with being unpastuerized and unfiltered are going to have the best nutritional value. Do unpasteurized or unfiltered beers have live active cultures in them? Are there any beers that do? A beer with the mildly narcotic ingredients sounds interesting. Are there any breweries making beer with those ingredients? Unpasteurized and unfiltered beers are going to have live yeast in them. The sour beers are going to have some lactobaccili bacteria, the probiotic. If beers are pasteurized and filtered, they are not going to have yeast or probiotics in them. Propolis Brewing makes a beer with yarrow and a gruit ale. I believe Dogfish may have a beer with yarrow in it as well. Your best bet is to pick up the book Sacred and Herbal Healing Beers and start brewing! Many articles purport that drinking distilled alcohol is far less “toxic” to the body when compared to beer or wine. I personally feel that the dosing is a concern, and that claims of mycotoxins in wine are beer may be overstated as I have yet to see any measurements included in such articles. Gluten is usually the other reason to claim toxicity. Lastly, does ones liver differentiate between the differing types (e.g. distilled vs. wine vs. beer) other than due to the obvious differences in antioxidant levels and nutrients? Great comments and questions. Interesting perspectives in those articles, thanks for the links. In terms of mycotoxins, I would need to see some data supporting those claims because I think they are overlooking what happens during the fermentation process. Research has shown that saccharomyces (brewers yeast) can remove and transform mycotoxins in 4 days, and many brewers ferment for 2 weeks (here’s one). 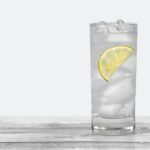 You may remember historical accounts in certain parts of Europe where fermented drinks were more safe to consume than the water. Also, fermenting bread for 48 hours will reduce gluten down to gluten free levels, so I think it is safe to assume gluten levels become fairly low in properly brewed beer. I would be more concerned with glyphosate levels (and potentially mercury) with commercial beers that use high fructose corn syrup or other corn additives because glyphosate doesn’t appear to be phased by fermentation. This has been true of pesticides and heavy metals in wine testing as well. I am not aware of any metabolic difference between breaking down ethanol between distilled, wine or beer. A lot of the positive literature on alcohol often contributes the results to ethanol more than one one alcohol vs. another. But, it does appear that liver function is improved by reducing carcinogenic effects due to the addition of hops and yeast (plus the B-vitamins and selenium that assist the liver), and the improved liver function of certain herbs that carry the strength of a tincture in this form. I actually brew my own medicinal brews this way. So I would disagree with those authors and defend craft beer. Thank you very much for the response. As always, a very thoughtful and rationale perspective. If you are willing, it would be great if you could share some home-brew (medicinal) recipes that have been successful for you (just shoot me an email). I started doing the same and also plan on making a homemade haskap berry wine raw honey melomel with montmorency cherry concentrate and rosehips. Brewing beer is a new endeavor for me, so I do not have a lot of recipes under my belt yet. I have made Kombucha, kvass, and mead (have a chaga, juniper, sage mead and an elderberry mead aging now). Your melomel sounds awesome. I jumped right into all grain brewing, so it took me 4 batches to finally get it right as it takes careful attention to details. The last two I made that came out well was a gingerbread porter and a Scottish gruit honey beer. I would be happy to send you those recipes if you would like. There are many recipes for herbal beers in Radical Brewing by Randy Mosher (best recipes for all grain brewing) and Sacred and Herbal Healing Beers by Steven Buhner (unbelievable historical and herbal science reference). Thanks for the book recommendation, I will definitely add it to my library. A gingerbread porter sounds amazing!! 1. Head 2.25 gallons water to 155 degrees. Add grain bag for one hour and maintain 155. 2. Sparge grains in a second pot with 1 gallon water at 175 degrees for 10 minutes. 3. Move sparge water to the original pot. Bring to a rolling boil for 55 minutes and add hops at the beginning of the boil. 5. Cool in an ice bath to 70-75 degrees. About a half hour. 6. Move to two 1 gallon fermenters. Pitch yeast. Ferment for 14 days. 7. At 14 days, add priming sugar. I used .70 of an ounce of brown sugar warmed up in water per gallon. Bottle condition for 14 days. Move to the refrigerator. Tastes best letting it sit for one more week. Related to the nutritional benefits associated with the unfiltered nature of properly prepared beer, I am curious to know if you agitate your fermenter so that the trub / lees (primarily, heavy fats, proteins and dead yeast) can be partially bottled with your beer? In most beer making literature, they advise to stay clear of the trub due to potential “off-flavors” and because, it seems, most prefer a highly clarified beer. Secondary fermentation is even recommended in some cases to further clarify beer. I think we all hope that you can write more on this topic in the future as you learn more and become an experienced home brewer. 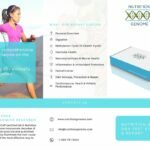 In particular, discussion on souring probiotics, melatonin formation, antioxidants and herbs that offer additional benefits would be of most interest. A local meadery I know that produces herbal / fruit based honey wines had there products tested for antioxidants. The lab technicians re-did the test four times because they did not believe the results. Their wines ranged from 90 – 120 times greater in antioxidants per glass than a standard glass of red (grape) wine. Dandelion being at the top of the range. Wow! I wish I could have my chaga mead tested. That is incredible and makes sense. You have a hot water extract and an alcohol extract of the herbs, which is extremely potent. Especially in honey. Do you think the meadery would be willing to share the results online? Each person that has tried the Propolis herbal beers has told me that they feel healthier after drinking it. It would be amazing if this would start to get more research attention. I do not agitate the lees. Some of it makes it into the beer, but the majority of it stays at the bottom. This makes the beer cloudy like a hefeweizen or some unfiltered Belgian golden ales. For darker beers like porters or stouts, you can’t tell the difference. I think if you tried to mix the majority of it in there that it would make it hard to drink. Yes, I will absolutely write more on the subject as I get more experienced. Do you find these beers are showing up in more stores or are most still fairly niche? I don’t recognize many listed. It depends on where you live. I have found that North Coast, Deschutes, Sierra Nevada and beers from Germany can be fairly easy to find in California. Specialty wine and beer shops will often carry many of these. If you have some companies near you that you like, send them an email on which beers are unfiltered, unpasteurized and non-GMO. I would be happy to add to the list. They are pretty amazing (albeit expensive). They do mixed fermentation with Brettanomyces, Lactobacillus and Saccharomyces. Plus a wood aging program. Wow, great find. I have been to Bend, Oregon and wish I knew about them when I visited. What a great example of true craft beer. I would do anything to try their Sahti beer from a hollowed tree log. This beer is one I have been wanting to make since I first read about it. your article has reassured me that beer can be used as alternative medicine. that is, for gout patients, like myself. in the past, i came across drinking some microbrewed beer at a local bbq pub. that evening i walked in there limping due to my gout pain on my foot. but when done consumimg the beer & bbq, i walked out there normal. the pain was gone and did not flare up again next day or the week. it happened all within over an hour while dinning inside. to this day, i wondered myself how was that possible. maybe it was just a fluke. but then… i couldn’t help keep thinking about the beer . i knew bbq meat wasn’t the reason but maybe it was the beer. if it was, what made it help to relieve the gout? it’s the question i had since then. that’s when i decided to search internet & came across your article. according to your article, maybe it wasn’t a fluke after all. that is, with moderate beer consumption, it may or can help relieve gout flare. 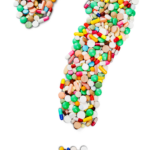 any recommendation or suggestion on which particular bottle or brewery, would be ideal for gout patients? i’d like to test it on myself next time when gout flares up again. Excellent question and I had to think about it for a little while. The article wasn’t saying that beer could relieve gout, but that wine and liquor are safer bets for gout because beer has a higher rise in uric acid. However, here is the interesting thing about uric acid. Sugar raises uric acid, meat and seafood raises uric acid, beer raises uric acid, certain vegetables like asparagus raise uric acid, and a low-carbohydrate nutritional ketosis diet also can raise uric acid. Not everything here will necessarily cause gout on its own as a result of elevated uric acid. There’s much more to it and there isn’t a one size fits all explanation due to genetic differences, likely in kidney function. But isolated sugar is universally a problem for gout. My dad had gout when he was younger and he didn’t drink alcohol, but he did drink sodas and very little water. He also continually gets kidney stones when he forgets to drink enough water. Cherries on the other hand, which have been used as a remedy for gout for centuries and confirmed in research, are high in fructose and yet lower gout risk due to the high flavonoid content. So to answer your question, if it wasn’t a fluke, the only possible explanation I can think of is that the beer was very high in flavonoids, which had a strong anti-inflammatory action. I would also be interested to see if the amount of hops used and alcohol content had any correlation. The best thing to do would be to analyze the beer that you consumed. Great, look forward to it. I did some digging and found the gene associated with a slower breakdown of uric acid, which is why it builds up more in the blood in certain people. I added it to the Nutrition Genome Report in my software. It looks like the flavonoids play a pretty strong role in lowering uric acid. Interesting enough, so does swimming in ice cold water. thanks for more inputs. i will try to add more flavonoids into my diet. interesting you mentioned swimming in ice cold water. did some search on it and found out benefits behind it. and a website suggested if not ice water, just cold water will do. so if not swimming i will try to add taking cold shower everyday. maybe pickup swimming too. and based on your lead, i may revisit the cryotherapy treatment i’ve been seeing in the past. after a few times, i stopped because it’s too cold & inconvenient visiting its facility. Please add smooth and aromatic La Birra di Meni to this list: Handmade in Italy by 68 year old Domenico “Meni” Francescon and his son Giovanni. They touch every bottle. Only available in New York and New Jersey…they only make 50,000 bottles per year! Will do! These look great. I had an Italian beer recently that was incredible and I haven’t been able to find it anywhere except one restaurant. Does any one know where to find organic beer in Ohio ? Does Publix supermarket has live yeast beers? What brand ? I’m not familiar with those supermarkets but just check if they carry any of the beers on this list. Red Oak Brewery in North Carolina only brews Lagers that are unfiltered and unpasteurized! My absolute favorite brewery. Thanks for the tip! I’ll add it to the article. I just saw your Mom yesterday and found out that I have an allergy to brewers yeast. As a beer lover that is a pretty disheartening thing to hear! But she said I could still drink beer just be very particular in which one I choose. Do you have any suggestions for beers that are filtered to remove the yeast but use only high quality ingredients? That is definitely disheartening to hear! So essentially you are looking for beers that are filtered and not bottle conditioned but use clean water, barley, and hops. I would say that Bison (all beers), Lagunitas (all beers), Dogfish Head (60 minute) and Einstock (Pale Ale) are some of your best choices. Beau’s Brewery is exceptional in Canada. They make gruit, all organic and use spring water (so no extra fluoride). The one downside is I beleive they are all pasteurized but not necessarily filtered (depends on the type of beer). I’m curious to know what you think about Bell’s Brewery. I love their Two Hearted Ale and they claim that it’s unfiltered and unpasteurized. True? I emailed a request to get a list of their unfiltered and unpasteurized beers. Will let you know as soon as I find out! They also sent me a list of beers that are unfiltered and unpasteurized that I will be adding to this article. Great find!